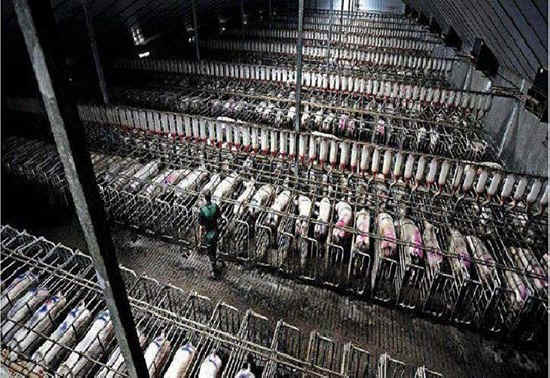 (Pig Exploitation - Gestation Crates - 10) Row upon row upon row of confined, frustrated, tortured sows, bred and born to produce piglets for people who are determined to eat other beings. The specific location of this "farm" is unfortunately of no importance. This is "standard agricultural practice" all over the world.